Smartphones this days comes with lot of amazing features and endless capabilities, but the new LG K7i smartphone comes with one unique and awesome feature that doesn't come standard in any other smartphone and that's the ability to get rid of mosquitoes. The mid-range smartphone which is released exclusively for the Indian market features a 5-inch display and a resolution of 720 x 1280 (HD). The device is powered by a quad-core CPU with a clock speed of 1.4GHz and a 2GB RAM. It also has a 16GB of internal storage which can be expanded via the MicroSD card slot with up to 256gb sd card. The LG K7i comes with an 8MP rear-facing camera and a 5MP front-facing shooter which handles selfies and video chats. It is packed with a moderate 2500mAh removable lithium ion battery. It supports dual SIM dual standby, NFC and has a 3.5mm headphone jack. 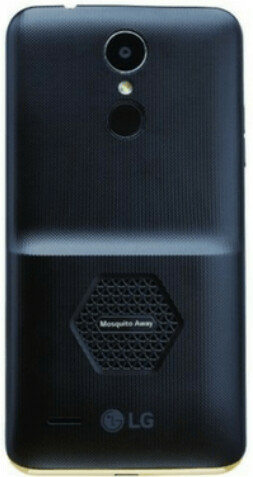 The selling point of this smartphone is the technology called "Mosquito Away" borrowed from LG Air Conditioners and Televisions, the LG K7i mosquito repellent is based on ultrasound waves that insects can't stand. It is odorless and surprisingly silent. The device is available in India in brown only with a starting price of 990 Rs which is approximately $121.38 USD at current exchange rates.